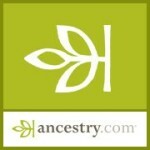 **Ancestry.com is available only on the library’s computers and/or on our WI-FI network! A unique and important genealogical database that has unparalleled coverage of the United States and the United Kingdom, including census, vital, church, court, and immigration records. Perfect for genealogy or history research. The Ancestry Library Edition collection has approximately 4,000 databases including key collections such as U.S. Federal Census images and indexes; the Map Center containing more than 1,000 historical maps; American Genealogical Biographical Index ; Daughters of the American Revolution Lineage; The Great Migration Begins: Immigrants to New England, 1620-1630; Social Security Death Index; WWI Draft Registration Cards; Federal Slave Narratives; and a strong Civil War collection.